The Blue Moonies are cosmic Leucadia beings from another dimension. Their funkship explores familiar realms in fresh ways: funk, R& B, Soul, Reggae, Surf Rock, Metal and more. They’ve got something for everyone, brilliant originals, classic covers, and talent in heaps. Singer/Guitarist of the Blue Moonies, Tom Mitchell, actually runs a music school called Chops Woodshed Academy (Solana Beach) which took judges choice at the Summer Fun on the 101 Battle of the Bands. Catch those kids 4 PM in front of Lou’s Records Friday 6/28. 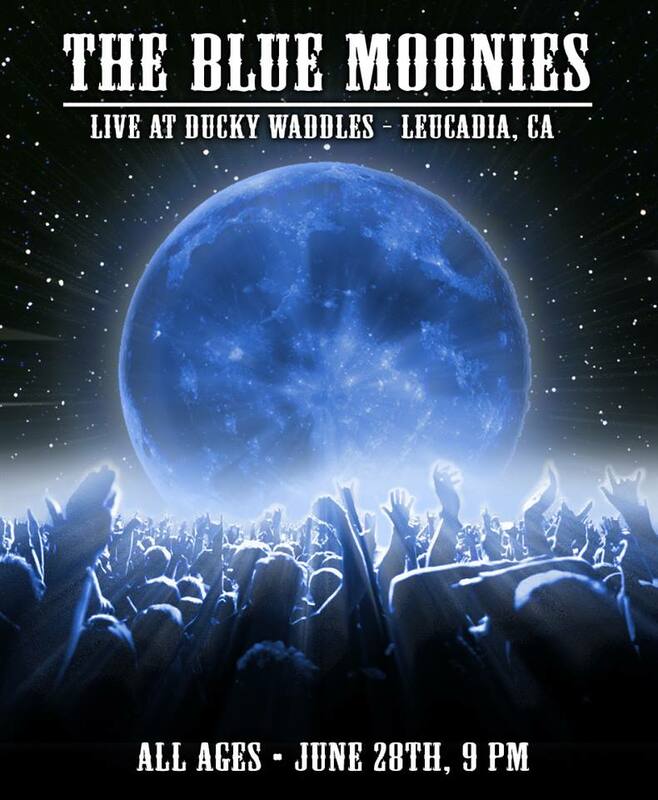 And catch the Blue Moonies closing out that same evening at Ducky Waddle’s 9 PM. Summer Fun, meet your Otis Day and the Knights. These cats keep the Party shouting like no other. See ya at the Duck. Quack. Thanks to Socalmusic.tv again for the footage!